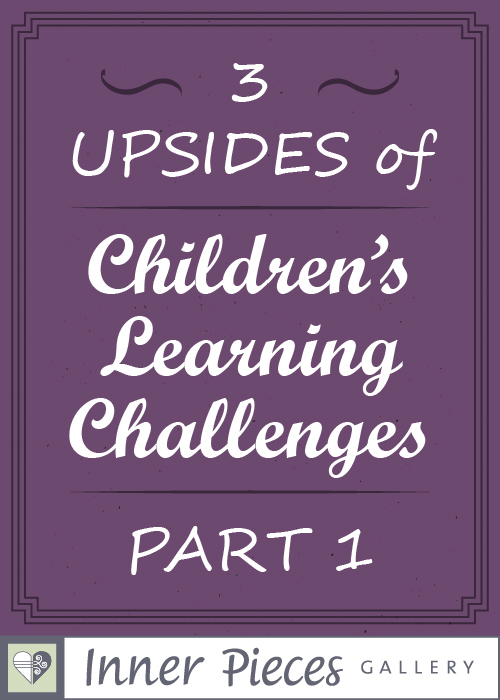 So you’re a parent of a child with learning challenges. You may have become aware of this fact only after a report from an educational specialist. Or, perhaps your suspicions grew little by little over time. When you realized that your child might have lifelong learning challenges, whether it happened suddenly or slowly really makes no difference. Depending on your tolerance for uncertainty, this news can feel like a heavy burden either way. What now? How do we “deal” with this? Where do we turn for help? Am I failing as a parent? Will my child ever go to college? What will the future hold? While those may all be legitimate questions, I’d like to encourage you NOT to automatically jump to the worst doomsday scenario you can think of. When your child starts to show signs of slower than average reading development, please take heart. The new learning journey that you and your child will take together may not be all rose petals and rainbows along the way. I am certain, however, that you will soon discover plenty of upsides associated with children’s learning challenges. You might even believe that these upsides far outweigh the difficulties. Let me share three of these upsides to get you started. My sincere hope is that you really absorb what I’m sharing today. So, let’s make it simple and just begin with Upside #1. I’ll cover #2 and #3 in subsequent posts. Children with learning challenges tend to process information differently than typical learners. While this may translate to academic struggles, these same students tend to excel in many areas that some of the rest of us could only dream of. Art and sports are common examples. Can you think of any talented athletes, painters, movie makers, storytellers, musicians, poets, photographers or other skilled artists or artisans that you admire? Have you ever questioned whether they were talented readers when they were kids? Probably not. That question never really crosses our minds because our personal heroes provide great value by excelling at what they do (and perhaps what WE do not do). But wait! Before you wander off too quickly, I have something for you. When you subscribe to the Inner Pieces Gallery newsletter, not only will you be notified about blog updates. You’ll also receive private access to a growing collection of free, learning-powered printables for kids. Currently you’ll find more than 50 fun activities in The Free Printables Collection! More to come, of course. Nope, you won’t have to print all of those fun pages at once. Choose a favorite or two, then come back any time. And nope, your children don’t have to know that you just started secretly strengthening their ability to learn. If you’d like, we can keep that little gem between you and me. Add your name and email below. Then come back for Part 2. Can we Predict Children’s Future Reading Ability?